Wonderful LP and marvellous sound! Thank you very much! Glad someone lkes it - and hopefully you 'splashed-out' on the premium 24/96 files. I liked it as well! Thank you. Irving was a superb ballet conductor, and is much overlooked these days. Well..I thought I'd jolly-along some comments (or make people feel guilty!!) - as you can't get much better than this from a LP.. 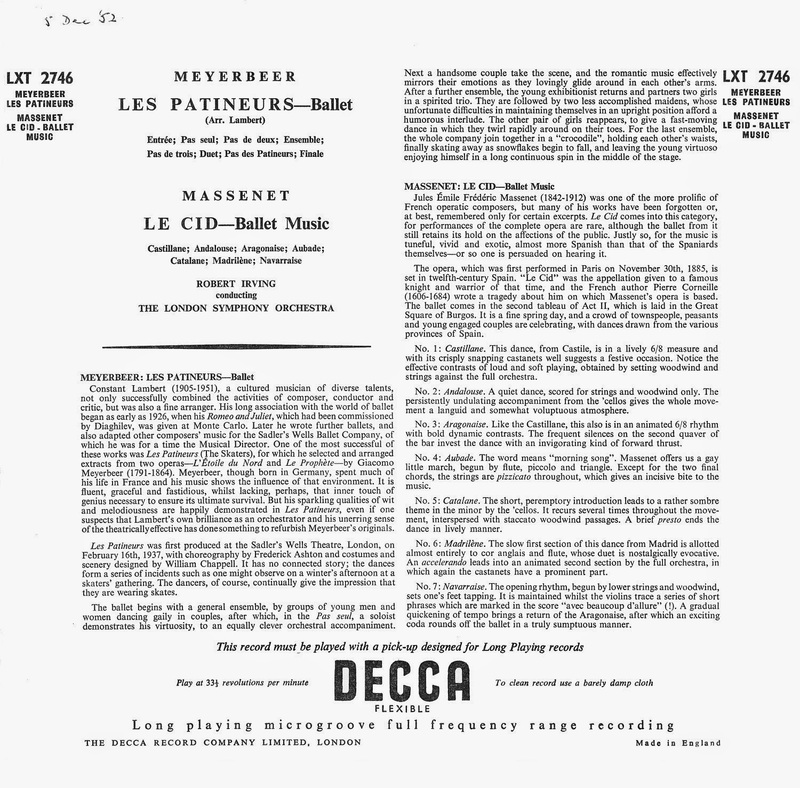 Yesterday I was thinking of giving you a 'long-service' prezzie of >>the more interesting<< works from Demessieux's 3x Decca LP's (ie where the organ doesn't footle-around) - also have 2x Dupre/mercury - mono Heroique/3 Chorals/New York stereo vol.3/Sulpice - I think the mono is better sound, etc..
Well TE, as you know by now its the Franck Chorals for me every time - and Demessieux's Madeleine recordings are the principal gap in my important readings of them, but aware of your aversion to old Cesar I will quite understand if you give them a miss. Mercury never got around to reissuing Dupre's recordings of his own works, but my memory of my LPs (temporarily inaccessible) is of recordings that let us hear more of the Saint-Sulpice back-stage machinery than one would ideally prefer. Incomparable performances nevertheless. Unfortunately I never managed to find a copy of him playing Cortege et Litanie. I may try a few more very early Ansermet/Suisse - La Mer/Nocturnes/Ravel - from the later re-masterings - but would suggest the 24/96 files are preferable (though have no idea how many/what % are being downloaded; as Mega don't show any data). 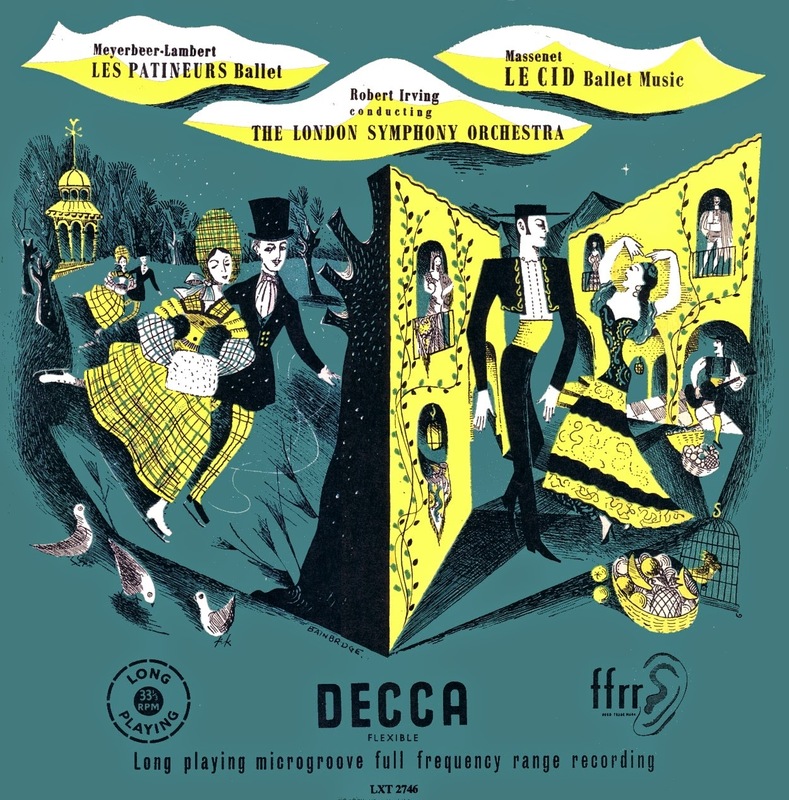 what an enjoyable piece of music - especially so during holiday season (les patineurs). thanks for making it available! i am also delighted about the fact that you usually try to add the original cover even if the transfer is from a later edition; really quite helpful (and so is the 1200x1200something resolution) for those who like to fill their media players with "originals" - much appreciated! one thing or two about photoshopping… personally i'd prefer if covers were presented just as they were scanned (btw: thanks for scanning not just photographing the covers!). the reason is that picture-surgery might at one time turn out quite well - as it does in this lxt2746 - or doctoring might go very wrong - as with the xlp30014 kletzki berlioz. If covers were presented 'as scanned' then you'd have to piece together at least 6 separate scans yourself. ah - don't get me wrong! it's funny you mention lamination: i've so far come across a number of covers in the www with the most curious lamination-flaws; so at first i had thought that with the berlioz it was just bits of lamination that had peeled off. i only noticed later-on that on other pix the 'sky' looked different. so i then assumed that the use of the magic-rubber in PS had been …a bit too extensive. i have hence restored the cover to as much of its former glory as i could guess from the covers in comparison (see: thats why i like your usual routine of scans = flat & hd) it's still a bit impromptu though. Ink rubs off those HMV sleeves (chalked paper): it doesn't with screen-printed LXT's. Lanination flaws arise with too fast a scan (the Busch/Bach Suite, elsewhere, were unusable unless scanned with a slower 'Colour Magazine' setting.